Glen Oaks Golf and Banquet Hall is located in Farmington Hills, and it has a great view. 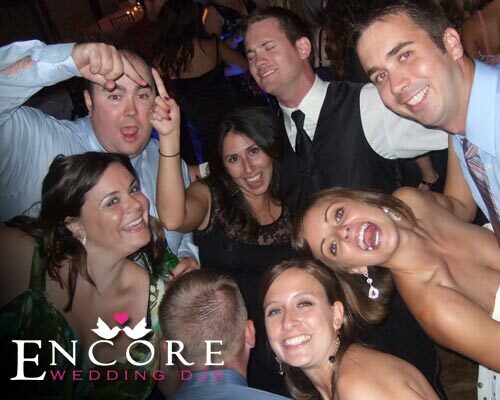 Encore helped Josh and Chelsey with their wedding reception and custom name monogram. The dance floor got full in minutes… just look at the photo above, there’s people everywhere! I have to say, that this is one of my most favorite party photos! Thanks again guys for having us be part of the success of your big day!